Without a doubt, there is both a good and a bad side to everything surrounding us. The decisions we make, the paths we choose to take, the way we exercise every day, what we eat, who we are friends with – these all help shape us and our lives. Even the way we clean, declutter and maintain our homes can have a powerful impact on our living. While psychologists, career counselors or doctors can help and guide us through most of these endeavors, keeping a house neat, clean and well-organized with zero clutter is often times a real burden. There are, unfortunately, lots of folks who have simply given up the battle against clutter. Living in a poorly organized home that hasn’t been decluttered properly in years can really do a number on anyone, in more ways than you would imagine. Below we are going to reveal a few of the most important and somewhat surprising benefits of decluttering, in case you were looking for ways to stop procrastinating and do what needs to be done. Remember, for any help with your home or office de-cluttering, we are here to assist you. An organized space can help you move around easier and with fewer distractions and obstacles. This automatically helps you complete chores in a more streamlined manner, saving you precious time and energy throughout the day. When you know exactly where everything is and you can reach it in a jiffy when you need to, you are likely to be faster and more efficient. Decluttering and organizing a house is usually a new year’s habit, but it shouldn’t only be associated with the new year. Any new beginning or milestone in your life from moving to renovating, making lifestyle changes or looking for more balance in your life could convince you of the absolute power of decluttering. With so many tips, tools and services meant to help you figure out where to start and how to continue, there is little room for error or reason for procrastinating. However, organization and its many benefits are not the only reason why you should de-clutter your home. 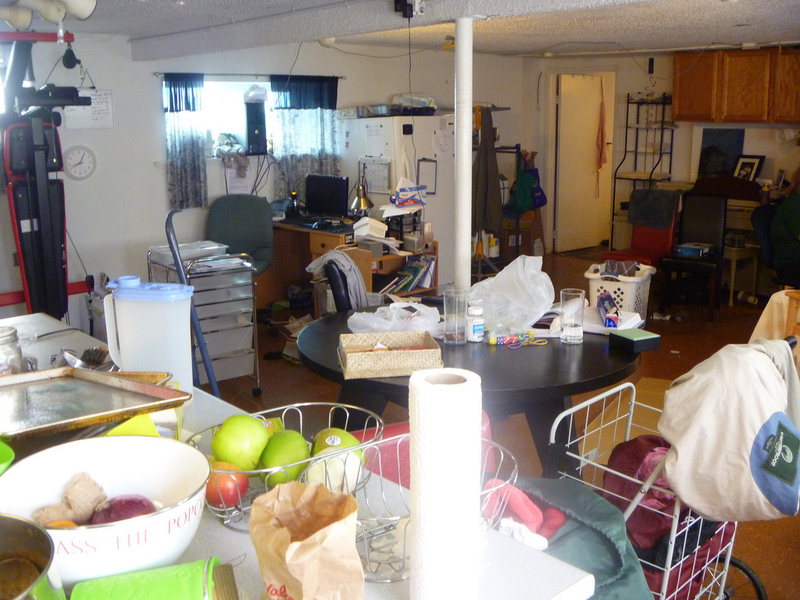 Did you know there are dangers and hazards associated to clutter? If your priorities are right, safety should always come first, especially when it comes to your family. This is why you should focus on keeping your home neat and tidy all the time and not just only on special occasions. Make your personal space and overall home environment look and feel safer and more comfortable for you and your loved ones. Start with the children’s room. If there’s at least one small child in the house, you are probably tripping over overflowing toy boxes all day long. Tripping hazards are no joking matter, given the serious consequences, a fall could trigger. Also, think in terms of small, chipped pieces of broken toys that are usually a result of a large toy box with items piling up on top. Find the best time to get rid of toys your kids are no longer using or any broken or damaged toys. Decide upon a monthly schedule or do it at least 3 to 4 times a year and make sure to throw out or give away all of the unnecessary toys. See if you have any leaking batteries inside toys that require batteries to work, as they could be particularly dangerous if ingested. Sort all your keys. Everyone has a drawer full of old keys they no longer use, but can’t seem to be able to get rid of, for some reason. If you happen to have old keys lying around your house as well, make sure you sort them properly. Call an eco-friendly local locksmith service that can help you recycle keys and locks you no longer need, especially if you plan on switching to electronic or smart locks or at least upgrading your obsolete locks to deadbolt locks. Take a look at a few prices for popular locksmith services here https://www.247asaplocksmith.com/prices and schedule an appointment with a reliable technician. Having all your entryway keys, access codes or access cards safely stored in a location designed for them will help you feel – and be – safer in your own home. Designate storing places for everything. No matter if we are talking about your clothes, appliances, toys or bags lying around with no purpose, make sure you find a spot for all of it. Avoid creating falling hazards and alluring potential neighborhood thieves into your home by having all your items sitting in the right places.